In the crunch phase of writing and producing a book, I spend so much time sequestered away in my office that I can sometimes forget that other people exist. Let alone that some of them read what I write. And while I write for many reasons, not least of which is just for the sheer fun of it, one of my most affirming motivations to get back to work is seeing young readers enjoy my books. And that’s just what happened at my two bookstore signings this summer . The launch party for The Illuminator Rising was held at Village House of Books on June 25th. The owners, Steve and Cheryl Hare, are incredibly welcoming and just some of the sweetest people you will ever meet. They even heralded the event with a window display of The Voyages of the Legend–a total dream come true for me! I got to sit in the “queen chair” in the charming children’s nook. It was totally fantastic to see the standing-room-only gathering of young readers! They were full of eager observations and great questions. Some of them are on track to be writers or illustrators themselves, so watch out world! The second summer signing took place at Bookasaurus, the children’s division of Leigh’s Favorite Books. Though space in the store is tight, they sure make the most of it! Again, it was wonderful to have the signing so well attended by strangers, friends, and family. These are just a few of the people who sustain me on my journey. Some of the students who visited have been faithfully reading The Voyages of the Legend since the release of Book 1. I’m having the amazing privilege of watching them grow up–some, into very dedicated and articulate writers themselves! And one more perk of the day. See that shop doorway on the left of the photo? That’s an incredible gelateria called Bella Roma. Gelato may or may not have immediately followed this book signing. I can’t think of a better way to end a day full of books, bookworms, and fun. Book Launch Day: The Illuminator Rising!!! It’s launch day for my new book, The Illuminator Rising! I can’t even tell you how excited I am to introduce this new book. As the third (but not the last!) in the Voyages of the Legend series, it involves some of the characters I’ve written with before, but each and every book teaches me new things–and this book taught me a lot. And threw me more than a few surprises! “Then you should dance,” Ellie said. “So? Find one,” said Connor, rejoining the group. “What? You volunteering?” Jariel rolled her eyes. Ellie watched as Jariel and Connor joined a reel on the dance floor. They fumbled awkwardly to find each other’s hands and perform the first set of spins. But then they seemed to find a rhythm. Both of them were strong and athletic, and they both had a good sense for the music. They began to clap in time and skipped down the line with energy. Their movements fell into practiced unison, as if they were working together to trim a sail or polish a deck. “Do you…like to dance?” Kai asked Korrina. If you’re local to the SF Bay Area and looking for a signed copy, you’re invited to my launch party on Saturday, June 25, at Village House of Books! There will be a reading, kid-friendly activities, snacks, and even a drawing for a free paperback copy of The Illuminator Rising! If you can’t make the launch party, check out my News and Events page for other stops on this summer’s book release tour! To celebrate this book’s launch day, I’m doing an e-book giveaway right here on the blog! Entering is easy! 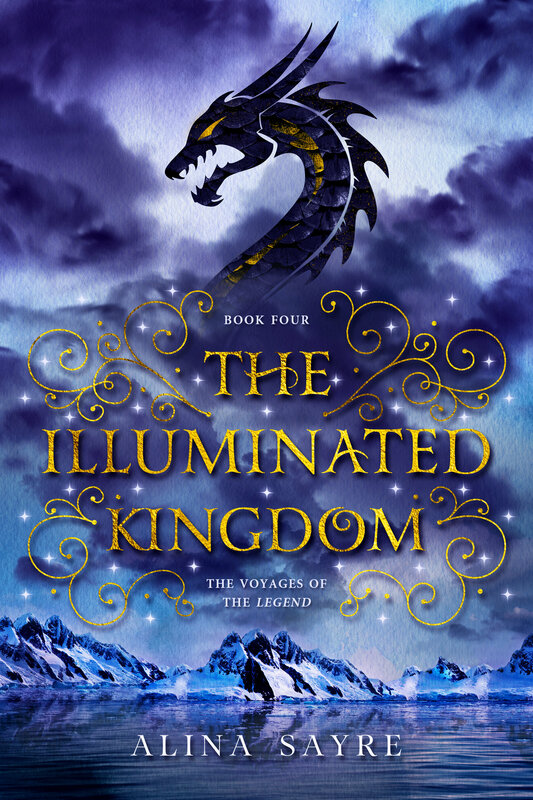 Step 2: Leave a comment on this post, including 1) your name (first and last) and 2) one reason you’re excited to read The Illuminator Rising. On Monday, 6/13, I’ll draw a name from the comments and send a free e-book to the e-mail address you used to subscribe!